As temperatures begin to climb in the Central Valley, Cecelia Packing Corp. said it is steadily packing and shipping a number of its citrus varieties. Available now are Dimples™ Gold Nugget Mandarins, Navel Oranges, Cara Caras, Sky Valley Heirloom Navels, Minneola Tangelos, and Sanguinelli Blood Oranges. Their Valencia Orange season is expected to start in May. 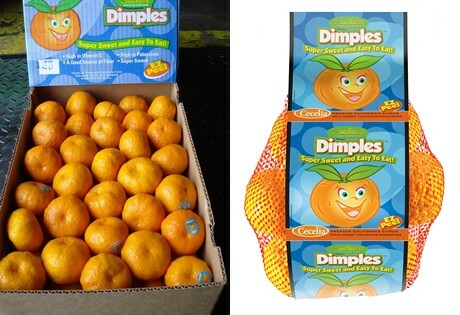 The Dimples™ Gold Nugget Mandarins season is well underway, and the company describes them as having great edibility. Cecelia Packing expects increased demand as buyers switch over from other programs. "We have Dimples™ available in bulk cartons as well as bags," says Keith Wilson, Sales Representative for Cecelia Packing. "The sizing is peaking on Mammoth and Jumbo, and we expect the season to run through May." As for Navels, Cecelia Packing is reporting supplies through the end of May, citing an increase in availability due to a larger crop this season. Keith Wilson says: "Pricing is steady on Fancy grade, with more reasonable pricing for Choice Navels. The opportunity to promote Choice grade in cartons or bags should continue, as we're seeing Choice continue to dominate the packed manifest. The Navels are eating well this season." Cecelia Packing expects a couple more weeks of Sky Valley Heirloom Navels season. "Our Sky Valleys continue with excellent eating quality. We have really had a great season to date," says Wilson. Cara Caras are projected to be available through May, with sizes peaking on 72s and 88s. Cecelia Packing is also packing Sanguinelli Blood Oranges, which are somewhat smaller than Moro Bloods, but are firm and flavorful. This season should go for another two weeks. The Minneola Tangelo season is winding down, with a good supply of large sized fruit available.